A third pilon has appeared on this spot. The orange plastic guardians that were placed first and second were clearly intended to prevent cars from parking in front of the garages. The concept of this small additional pilon is less obvious. 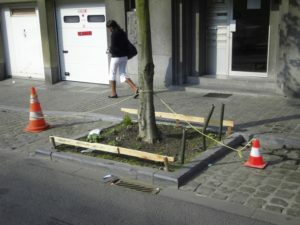 Because the cord with which it is attached to the tree is very short, the pilon can not be placed on the parkig place. 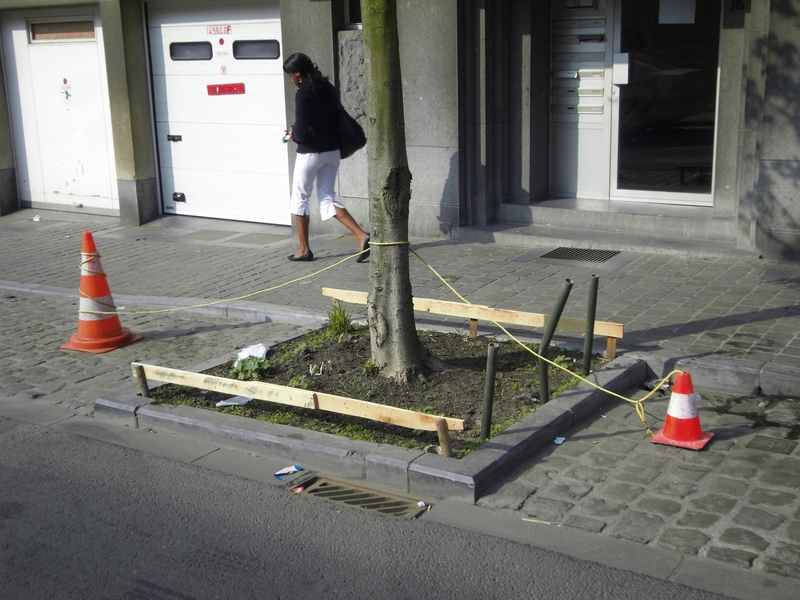 But maybe it’s function is to fence of a small reclaimed greenzone in between the two pilons ?